I am sitting beside my youngest son. As I write this he is fiercely doing battle with a dragon; sword in hand. Yes, it is a video game. I look at the clock with a complete awareness that he should be in school in about 8 minutes. All is normal. He and I sitting beside one another. Him giving me expert lessons on the latest video game. He is waiting in the Children's Specialty Infusion Unit at the University of New Mexico Hospital. He will have his usual dosage of Xolair to combat an allergic reaction to the clotting agent that he must take to ensure little if any break through bleeding into the joints. That's right. That is my normal. It may not sound like anything you may do in your routine, but it is what I know. I smile when I hear that dirty "n" (normal) word thrown around, because I believe that it is all relative to our own unique situations. What you may consider ordinary may stress me out. Likewise, what I consider an average part of my day may lead others into a frenzied state. Our journeys are all unique. How we interpret and experience life is based on our own stories and paths. We must be sensitive to each other's stories. What may lead one person down one road may frighten another person. We make choices based on the information that we have in the moment. We may look back later and realize that our lives may have been a little less "complicated" had we chosen another path. As for my son, he views these visits to the hospital (along with daily infusions) as a part of his life. This is his normal. He as no other frame of reference to the contrary. 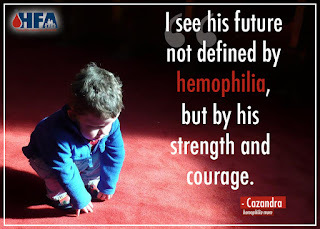 This is what it means to be human for him. It may not be for anyone else. We should respect each other's paths. Whatever that path may be. Today, I give thanks for what I call "normal." It means that life has been restored back to routine, and in that routine we experience life in its traditional form; whatever traditional means to us. Our path is life giving and life sustaining. It allows us to recognize the times when life is not "normal," but that is another blog post for another time. May you live into your "normal" and celebrate it, for it is in the richness of tradition that you may be able to gather strength for those times when life is not so predictable and ordinary. 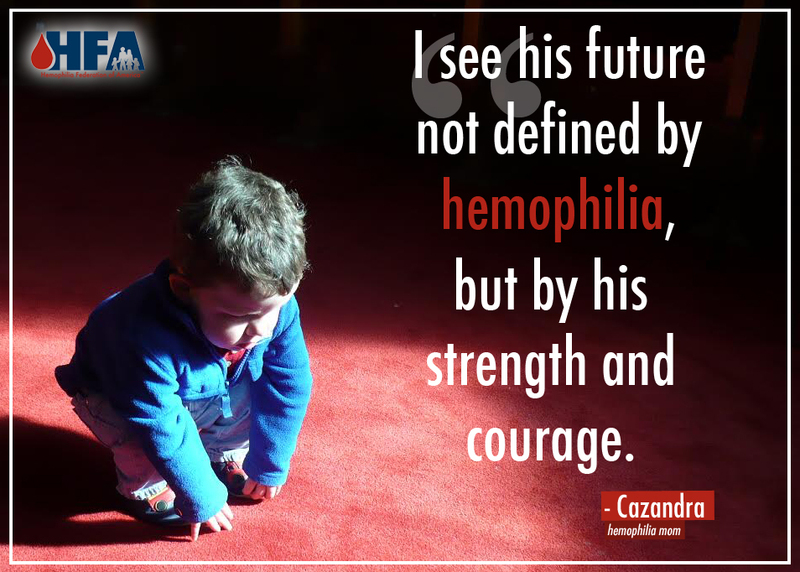 I try my best to keep hope alive through living with hemophilia.